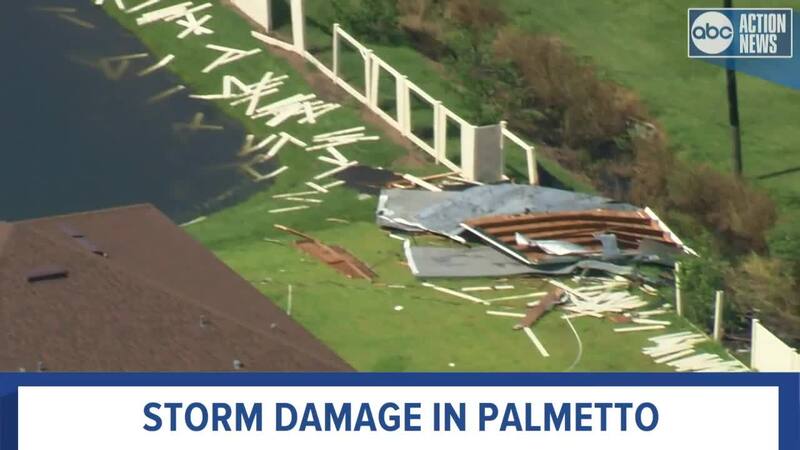 PALMETTO, Fla. — It was a scary night for families in one bay area neighborhood as strong storms took down trees and ripped roofs off of homes. 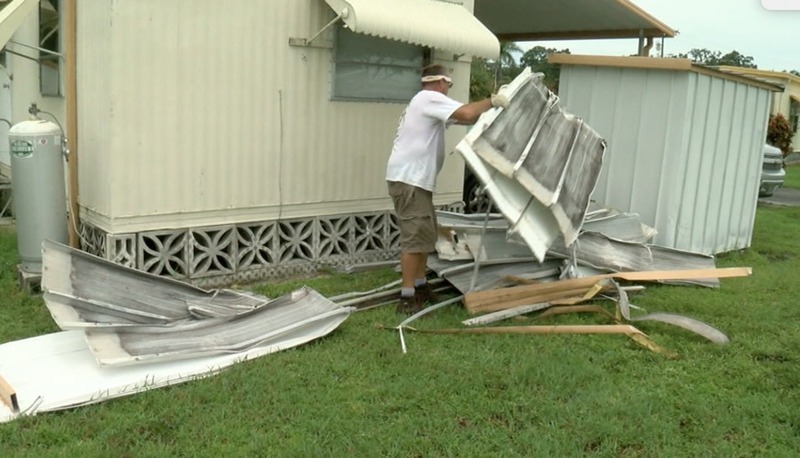 "It sounded like a hurricane or a tornado," said Palmetto resident Fred Stansfield. 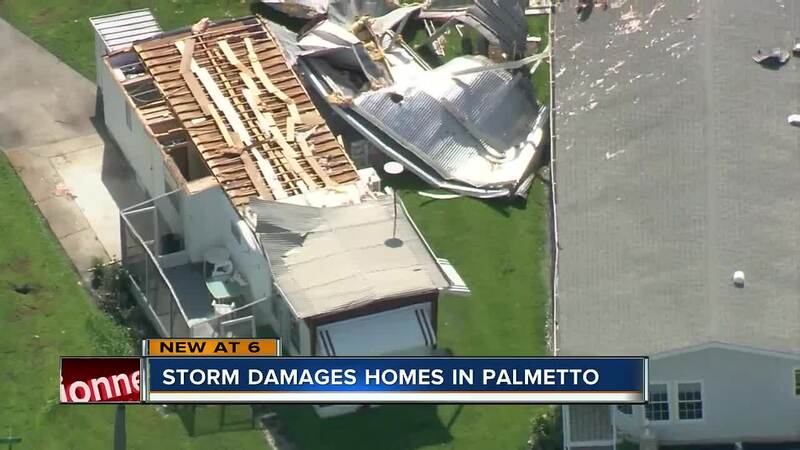 Overnight strong winds knocked down fences, took down trees, and peeled aluminum roofs right off of homes at a Palmetto mobile home park. "The South end of my trailer came up off the ground," said Stansfield. The National Weather Service says a microburst is responsible for winds up to 65 miles per hour that took off part of Richard Kern's roof. "It was scary," said Kern. On Monday, neighbors helped each other clean up the mess. "We went through the hurricane last fall and this was more wind than that," said Kern. "I feel lucky," said Kern.